In 2002, Kate was ready to record her first CD. She had all the repertoire lined up and began rehearsing with pianist, composer, and recording engineer Steve Kaplan in Malibu, CA. About two weeks before the recording was scheduled to commence, Steve was killed in a plane crash. She was heartbroken, not just because of the musical partnership – but he was also a close family friend. Feeling the need to have space from her loss, Kate discontinued the work on this recording. Shortly after the project was discontinued, Frederick Lesemann wrote Slow Music for Piccolo Alone for Kate, much to her surprise. Dr. Lesemann was Kate’s orchestration professor at USC, and she premiered this piece on her final Master’s recital at USC in Los Angeles in 2003. Slow Music is also included on a recording of Dr. Lesemann's works to be released later this year. After hearing Kate perform at a NFA convention in 2005, composer Daniel Dorff contacted Kate with an idea for a new piccolo and piano showpiece he had started for her. In 2009 Flash! was completed and premiered at the International Piccolo Symposium. Flash! also won the IPS composition competition for 2009. Finally, in 2010, Martin Kennedy contacted her with yet another newly formed idea for a piece! 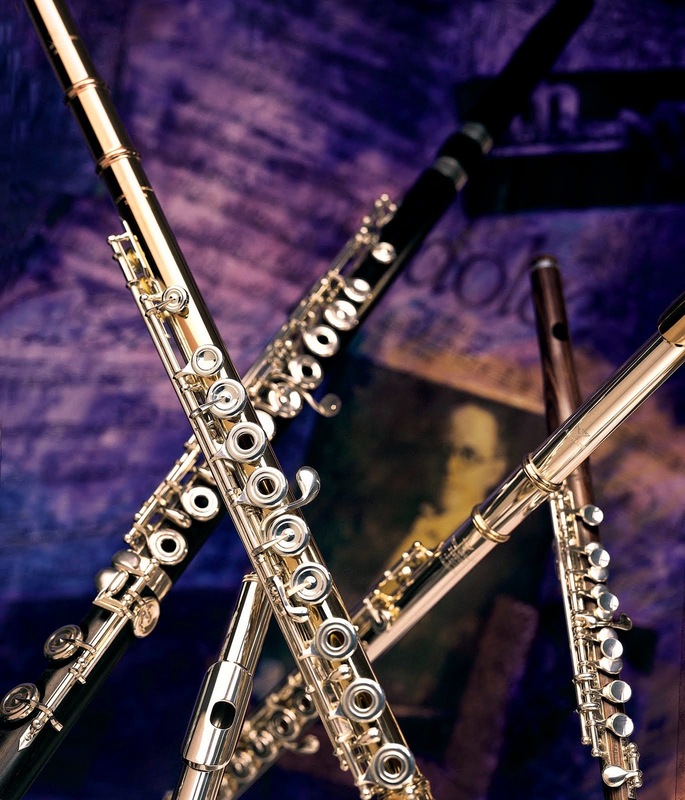 Once Martin’s Desplazamiento was completed, it was premiered at the Mid-Atlantic Flute Festival in 2013. Realizing that Kate had accumulated three incredible new pieces for piccolo, and that they would become “timeless standards” in the piccolo repertoire, she came back to the idea of recording. She pulled out some of the repertoire from the 2002 project, and the new pieces that had been written for her fit perfectly in the mix; better even than the original plan! Kate also realized that she had found a monstrous pianist and good friend in Martin, and asked if he would come out to California and record the album. Martin Kennedy came out to California from St. Louis this summer to record the CD with Kate. With only a one-week time span in which to work, Kate and Martin were able to complete the project on time, before Martin’s return. Kate told us that they were able to do a little bit of rehearsing, recording, and mixing each day. The CD was produced and recorded by the incredible Peter Sprague at his studio in Encinitas. You’re your own worst critic. You want to fix everything. During the editing process, I listened so carefully to every detail – each rhythm, every interval, runs, expression markings, balance; everything! There is an appropriate amount of criticism needed to create a good product, but at a certain point, you have to stop picking everything apart, and just enjoy the music. I had to learn to let myself be human. There’s definitely a huge learning curve in the process – learning how much to fix and how to simply let it be. Now that I have given it some space, and don’t have to correct anything anymore, I’m really happy with how it turned out. 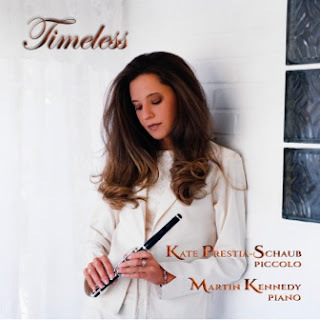 Timeless is available through Kate Prestia-Schaub’s website, CD Baby, iTunes, and Google Play. Preview the tunes on Kate Prestia-Schaub’s facebook page. For more information on Kate, visit her Powell Academy Page, where you can also schedule lessons with her.